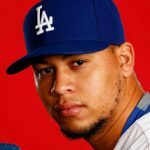 Frankie Montas out 4-8 weeks with (another) injured rib. PITTSBURGH — Dodgers pitcher Frankie Montas, who missed the first six weeks of the regular season while recovering from off-season rib surgery, has an injury to his second rib and won’t pitch for four to eight weeks. The news was first reported by Ken Rosenthal of FoxSports.com. Montas, 23, last pitched at Triple-A on June 15. He has a 2.38 earned-run average in four games (three starts) for the Oklahoma City Dodgers in 11 ⅓ innings. The injury, which the Dodgers are calling a “stress reaction,” ruled Montas out from starting today’s game in Pittsburgh. The Dodgers promoted right-handed pitcher Nick Tepesch from Triple-A instead and designated outfielder Will Venable for assignment. Montas had surgery to remove the first rib near his right shoulder in February. The injury to his second rib was considered minor at the time, according to Rosenthal, but evidently did not go away during his down time in spring training. The Dodgers acquired Montas last December from the Chicago White Sox in December in the trade that brought Trayce Thompson and Micah Johnson to Los Angeles and sent Scott Schebler, Jose Peraza and Brandon Dixon to Cincinnati. This entry was posted in Breaking news, JP on the Dodgers, On The Farm and tagged Frankie Montas, Nick Tepesch, Oklahoma City, Pirates, Pittsburgh by J.P. Hoornstra. Bookmark the permalink.